One of the things that's abundantly clear when looking back at the history of tech, is that things progress incredibly quickly. A mere 10 years ago, The Palm III was the new device to have, and today we laugh it off as an ancient relic. So what might the tech world look like in another 10 years when Amber is old enough to be a part of it? I don't want to speculate on what specific phones, devices, or hardware might be like because that's fairly impossible. Instead, I'll briefly look at three very general aspects of what daily life might look like. Much the same way that data storage prices have gone down so much recently, I think it's likely that the notion of measuring bandwidth will be a foreign concept in 10 years. Amber's generation probably won't even think about terms like "buffering," or "downloading" since bandwidth will be so abundant and so fast that we'll stop caring about it. The automated translation from one language to another has made unbelievable improvements over the last decade. And it's only getting better. Companies like Google have said that within a few years we'll see automated voice-to-voice translation, meaning you speak in English, for example, and the person on the other end hears Spanish. By the time Amber is in highschool, spending huge amounts of time learning a foreign language may be a thing of the past. With the recent Bloom Energy announcement and other related energy advances, it's clear that alternate forms of energy are on everyone's mind. 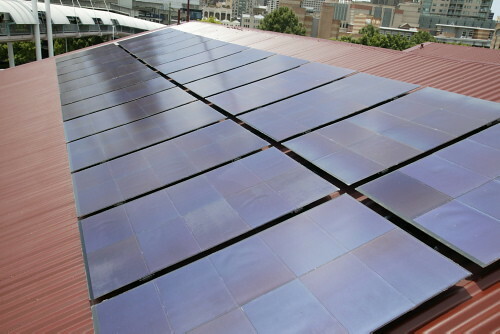 Home solar systems are dropping in price and even average consumers are looking into ways to reduce their energy bills. Additionally, as our portable devices get smaller and more powerful, we're going to need newer battery tech to make them work. So while I obviously don't know what exactly is in store, I think it's safe to say that energy is a subject that is only going to get more popular in the coming years. It's exciting to think about what might be powering our home when Amber is 10, or what kind of battery might be in her first cellphone. There are, of course, lots of other topics I could discuss, but these three are the ones that I find most interesting. It's somewhat shocking to consider how far these three areas alone have come in the last 10 years. The next 10 promise to be even more exciting.